A Little Tic Tac Toe Today! Categories: Cards | Tags: Altenew stamps, Card making, Cards, rubber stamps, stamping, Thank you card | Permalink. Your card is so gorgeous and I love the lovely colors you chose for it. I love the woodrain in the background as it helps the colours really stand out. Lovely card, Nancy. I love the woodgrain behind those glorious flowers. This turned out so pretty!! It is funy it doesn’t LOOK easy! : ) Beautiful colors and design friend! Thanks Claire! The flowers are Altenew ….A Beautiful Day and the wood grain background stamp is a wood mounted stamp from Stampabilities that I picked up at Michaels eons ago. Thanks again! Love the black wood grain background. 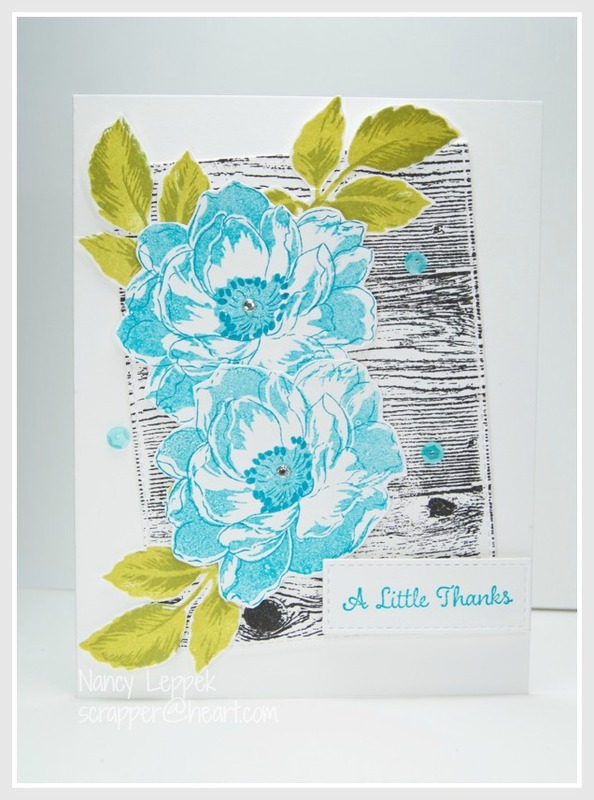 It really makes the turquoise flowers pop…great card…thank you for joining us at The Paper Players! Gorgeous! I love the colours, woodgrain, and flowers you used!!!! 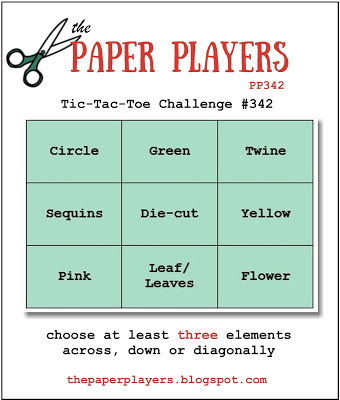 Thanks for playing along with us at The Paper Players. The color combinations on the wood grain background are so beachy. Those colors are so beautiful,together. Love your design and layout too.